See how a non-traditional insurance company used transparent hot pink panels to punctuate their open-plan office. 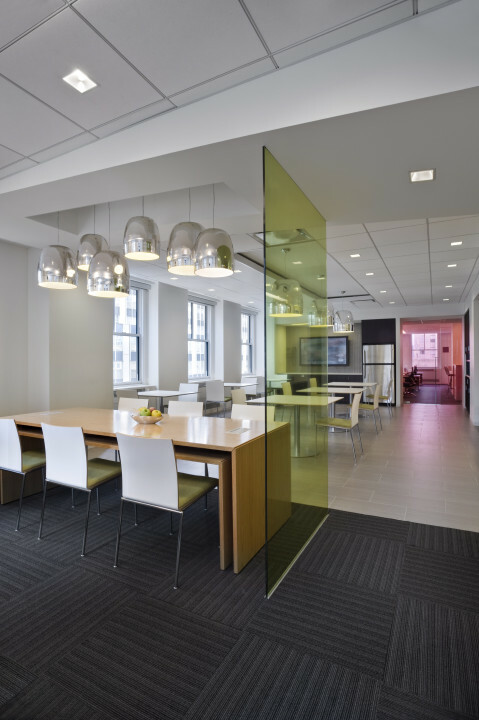 The 3form C3 Pressed Glass panels in Beazley’s NYC office, designed by Gensler. All photos courtesy of Beazley. The solution was so effective that they’ve since implemented it in Beazley’s other offices across the US. 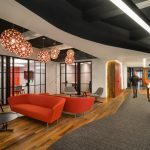 Over the phone, Gensler’s Kathleen Friedle – a studio director and senior associate at Gensler’s NYC office, and the Beazley project manager – told us more about the project. For Beazley’s New York office, they wanted something unique that made a splash. At first we had a neutral palette, but then we brought in the 3form glass to integrate with Beazley’s brand color, hot pink. We were being budget-conscious, and we happened to luck out in that [3form’s] palette matched Beazley’s brand color. The office is 100 percent open plan [20,000 square feet; 250-some benching stations; no closed offices]. They had a tight budget and not a lot of hard construction, so we used the glass for quiet rooms, phone rooms, meeting rooms, and other selective spaces. In addition to the pink, we introduced blue and yellow into the palette. It made for an interesting space — an insurance company with a 100 percent open plan and hot pink details! Beazley has told us that their own clients are always delighted and surprised when they come into the office because it doesn’t look like a typical insurance company. We wanted to be selective about [where we used] the panels. You get this light and airy feel without putting up painted sheet rock walls, and it was a way to introduce color but also keep the space transparent. It was a template for other projects, too. 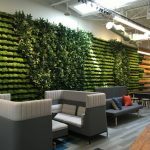 [Gensler has since specified the 3form panels for Beazley offices in Chicago, San Francisco, Minneapolis, and Philadelphia.] Beazley has told us that their own clients are always delighted and surprised when they come into the office because it doesn’t look like a typical insurance company. 3form? Budget-conscious? Are you being serious?